Font Romeu, France – Park City’s McRae Williams scored his first World Cup win at the freeskiing season’s opening slopestyle World Cup event in France on Saturday. Both men’s and women’s finals were canceled due to weather. It was a great win for Williams, who finished second at last season’s Mammoth U.S. Grand Prix/FIS World Cup slopestyle event. As Williams was in first place after Friday’s sun-soaked qualifiers, he stayed atop the field at Font Romeu when finals were canceled. Williams was joined on the podium by Sweden’s Jesper Tjader in second and Alex Bellemare of Canada in third. Four Americans were also in the top 10, with Alex Hall (Park City, Utah) in fourth, Nick Goepper (Lawrenceburg, Ind.) fifth and Joss Christensen (Park City, Utah) ninth. 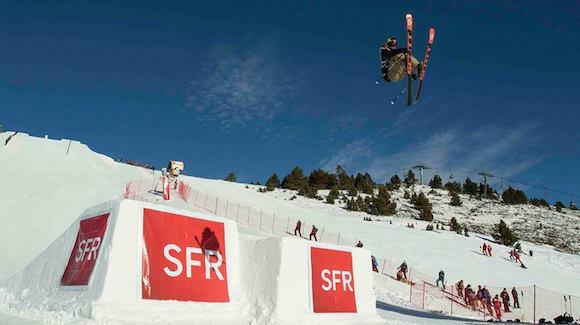 After being held by weather to only one qualifying run on Saturday, 15-year-old local French skier Tess Ledeux topped the women’s slopestyle field, with Norway’s Johanne Killi in second and Anouk Purnelle-Faniel of Canada rounding out the podium in third. Nadia Gonzales (Keystone, Colo) was the top American woman in 11th. “It was a very hard day to compete, but I’m super happy to land my tricks and ending up on top of the podium,” said Ledeux, who was also awarded with the yellow World Cup leader bib. “Today’s result motivates me to keep the hard work and further improve my skiing so I can win more competitions in the future”. Next up on the World Cup tour for the slopestyle skiers is a stop in Seiser Alm, Italy at the end of the month, Jan. 26-28. Invited athletes will opt to head back to the U.S. for X Games Aspen in Colorado Jan. 26-29 before the Toyota U.S. Grand Prix at Mammoth Mountain in California.